After the demise of old school Blackberry’s BBM popularity, most people these days have switched over to Whatsapp on their phones as the premier app for fulfilling their free texting and chatting needs. However, Skype still remains the dominant video calling service and apps like Viber are making a great impact via their free calling services over their Wi-Fi networks. But what if you could club all of these spectacular services into one definitive communication platform and save up some space on your smartphone? Well, the developers at Tencent technology did exactly that and came up with the WeChat app for Android that aims to combine all these features and whole lot more. WeChat is one brilliant Android app that offers free voice, video and text messaging, all for free. It offers many entertaining features compared to its closest competitor, Whatsapp. After downloading the WeChat app on their Android smartphone, users can log in by signing up for a new WeChat account or through their existing Facebook account. The setup process involves entering the mobile number for verification, adding a profile picture and enabling address book matching to automatically add friends that use WeChat. You can also communicate with friends using their profile ID or phone number. WeChat is a lot more fun to use and entertaining than the celebrated Whatsapp, with ample features that the app’s toolbar makes it easy to access. The messaging feature works pretty well expect that it does not offer the read/delivery notification, like the double-tick in Whatsapp. The user can also favorite a chat message for later reading. The Moments feature is very similar to Facebook and lets the user share his happy moments with his friends through photos and videos. The user can also use the “Look Around” feature to connect with other people nearby who are using WeChat. Its helpful if one is looking to make new friends within his area. If the user finds someone interesting, he can send him or her “greeting”, as they call it, or respond to the “greetings” sent to him by other users. The user also has an option to block people if he wishes to. One cool feature called “Shake” lets the user find other users as far as 1000kms away. To make a new friend, all the user has to do is shake his phone and hope that someone else is doing the same thing somewhere across the globe. Another stimulating feature is “Drift Bottle”. This feature let’s the user write a message and throw it into the virtual sea and wait for someone to find it and respond to it and if the user finds someone interesting he can even add that user to his friends list. 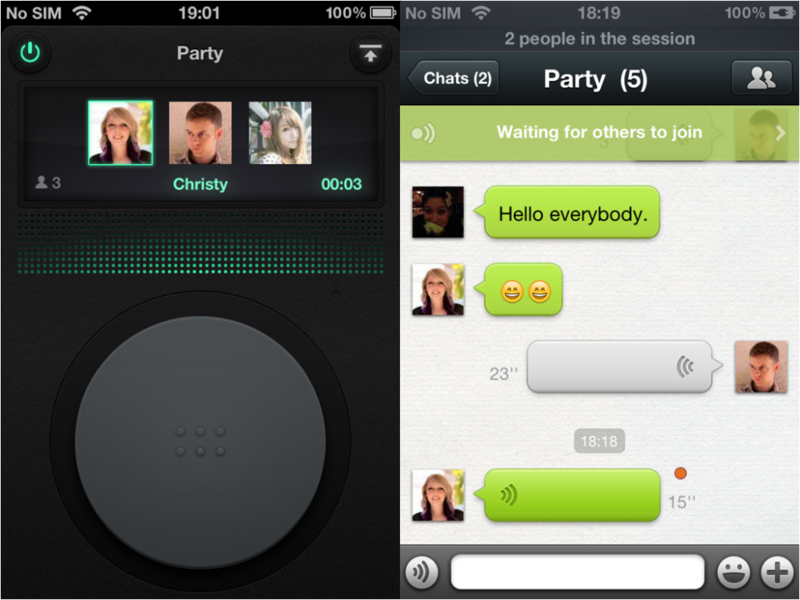 The WeChat app has a unique voice-messaging feature that the user can use to communicate with his friends. There is also a “Walkie talkie” feature for voice calling and an option to video call. The in-call toggle feature lets the user shift from voice to video calling if necessary. The user can access this feature by clicking on the “+” button at the bottom of the chat window. WeChat stands out from the crowd, due to its engaging features, not seen in most of the other apps. No longer will u have to text your friend on your favorite text messaging app and ask them to come on your favorite video calling app. WeChat has managed to bridge this gap. So find some space for this wonderful app on your smartphone and be captivated by this ultimate communication tool of the future.